Could you be doing more with the parcels you send? We’re asking because packaging is often a missed marketing opportunity. When a customer receives your product, it could be the first physical contact they’ve ever had with your company or brand. There’s so much more to sending out your products than just getting them to their destination undamaged. Here are five ideas to make unwrapping more fun, create a positive experience and encourage customer loyalty. Let them know who the parcel is from before it’s opened. You can use your logo, slogan and brand colours on the outside of the parcel to make an initial impact. You don’t need expensive custom packaging to do this. 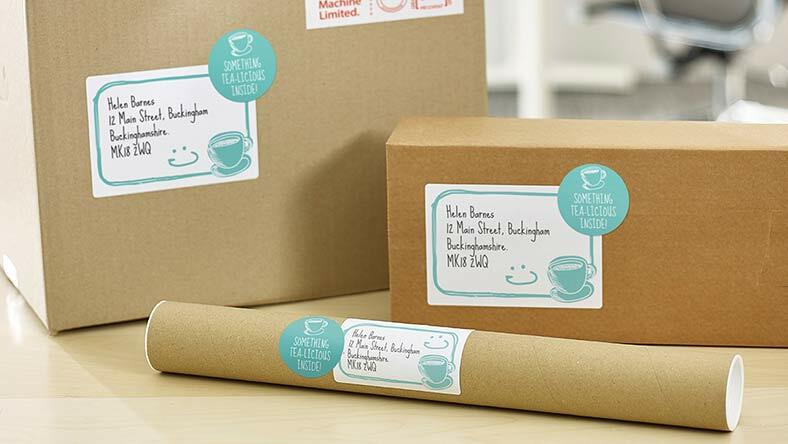 Avery WePrint labels can be designed to show off your brand and print messages on the outside of the parcel. Instructions, such as ‘handle with care’, ‘fragile’ or ‘this side up’ might be needed. Additionally, you can say what’s inside the package, or make a fun statement. Even a simple word like ‘Hello’ can get a positive reaction! The address label on your packaging will probably be printed through the post or parcel delivery service that you use. 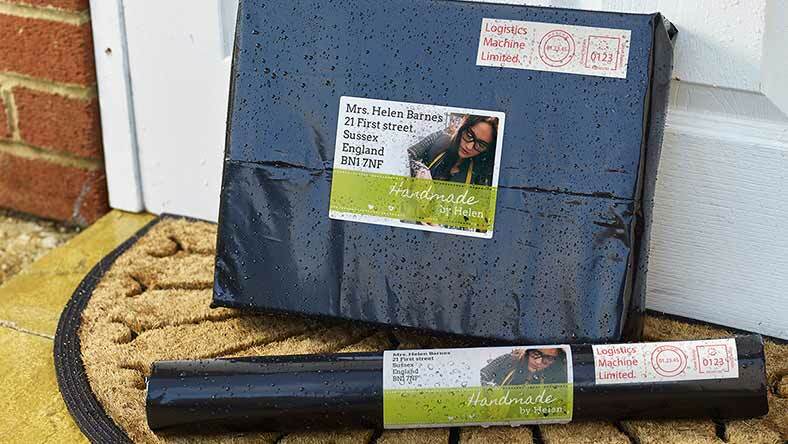 If a return address is not included, add it on a separate label with your branding. A simple ‘thank you’ always goes a long way. This is just one of several inserts that you can put into your packaging to create that positive impression. Since it’s usually cheaper and easier to keep existing customers coming back than it is to find new ones, customer loyalty is crucial for growing your customer base. To create a thank you card, use Avery WePrint greetings cards with a design or image that ties in with your branding. Greetings cards can be A6, DL or square, measuring 130 mm x130 mm. Adding a handwritten message to the thank you card is one of the least expensive and most effective ways to build loyalty – and it’s not something that large brands can do! Are you one of the many internet sellers that wrap products in tissue paper? Do you use boxes or bags? Here’s an easy way to add a really refined touch with round sticky labels. Print round labels with your logo or the first letter of your company name, using your brand colours. Then use these customised round labels for holding together the tissue paper, a box or bag opening. Avery WePrint round labels range in size from 19 to 60 mm in diameter. They’re available in the full choice of materials – white paper and textured ‘Antique White’ paper, as well as white and clear polypropylene. No matter how often you send email discounts, a real, printed voucher is always welcome. This will make a much greater impact and will also make a valuable addition to the contents of your parcel. Avery WePrint postcards or business cards are ideal for printing a discount offer. Postcards are A5, A6 and DL size and you can create a design or image that ties in with your branding. Do you have a story to tell about you, your company and your products? Is your brand based on special principles? Don’t miss an opportunity to explain what’s behind the purchase, or what’s gone into your products. Giving your customers a back story or product information when their parcel arrives will not only reinforce their purchasing decision, but also make them feel more involved with your brand. An Avery WePrint greeting card or post card will allow you just the right amount of space to say what’s necessary and keep them interested. Designing customised labels and cards is easy with the Avery WePrint design too. You can either create the whole design with the tool, using images such as your logo, or you can upload finished artwork to be printed.